It is increasingly evident that the Venezuelan exodus that began in 2014 is now the fastest-escalating displacement of people across borders in Latin American history. The deepening political, economic, and humanitarian crisis in Venezuela has led to the mass movement of people across the region—mostly to Colombia, Ecuador, and Peru—and beyond. Estimates of Venezuelans on the move are imprecise, but range from 1.6 million to 4 million people abroad as of early 2018. Hundreds of thousands more have left in the first half of the year, and the numbers keep climbing—outpacing earlier humanitarian flows from Central America, Colombia, and Cuba. Some experts predict the displacement could surpass the 5.6 million Syrians who have fled that country’s civil war. These figures attest to the severity of the Venezuelan tragedy and suggest that this displacement crisis is only beginning. Government mismanagement of the economy has led to runaway inflation and shortages of basic goods in what was once a well-off country, pushing many people into poverty. Some 80 percent of the population was living in severe poverty as of April 2018, and hundreds of thousands were at risk of starvation. There is no reason to believe that the outflow of Venezuelans will diminish in the foreseeable future. Roughly half of surveyed young people between ages 18 and 24, and 55 percent of upper-middle class respondents, said they hoped to leave, according to a December 2017 poll by Consultores 21—and most identified Latin America as their preferred destination. The number of Venezuelans entering Peru almost quadrupled over a four-month period: from 100,000 in March 2018 to nearly 350,000 in early June. As the exodus expands, the humanitarian needs of migrants grow more urgent. These outflows pose a significant challenge to regional governments and have led to a mosaic of different policy reactions. Due to the scale of the phenomenon, governments across the region that have affirmed their solidarity with Venezuelans and have been receptive to arrivals still face difficulties in meeting the needs of migrants. In some cases, domestic pressure to limit Venezuelan entries is mounting. This article examines the characteristics of Venezuelan migrants based on the latest data available, before discussing how governments in the region have responded to the inflow and what the crisis means in the context of shifting Latin American immigration laws. Venezuelan Migrants: Who Are They? 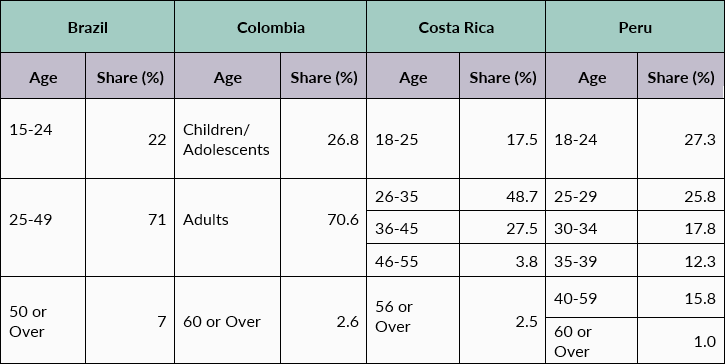 According to the available demographic data, most surveyed Venezuelan migrants are of working age, with a stronger representation of young adults in some countries (Peru and Costa Rica; see Table 1). 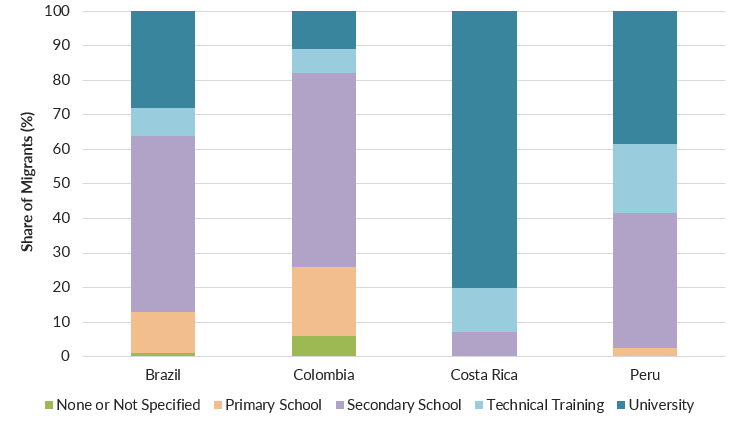 Notes: Brazil data are based on 3,516 interviews with participants ages 15 and older, conducted from January 2018 through March 2018; Colombia data were collected at border checkpoints, spanning all age groups (reporting period unspecified, but released in 2018); Costa Rica data are based on 80 interviews with participants ages 18 and older (reporting period unspecified, but released in 2018); Peru data are based on 1,636 interviews with participants ages 18 and older, conducted between April and May 2018, and represent the mean of data points collected in Lima, Tacna, and Tumbes. Sources: Asociación de Consultores y Asesores Internacionales (ACAI), “Situación de Personas Venezolanas en Costa Rica” (country report for the Comisión Interamericana de Derechos Humanos 168th session, Santo Domingo, Dominican Republic, May 2018); Government of Colombia, “Informe Final: Registro Administrativo de Migrantes Venezolanos en Colombia” (presentation of survey results, June 2018), available online; International Organization for Migration (IOM), “Monitoreo de Flujo de Migración Venezolana en el Perú, DTM Ronda 3” (fact sheet, July 2018), available online; IOM, “UN Migration Agency Releases First Displacement Tracking Matrix Results on Venezuelan Flows in Brazil” (press release, April 27, 2018), available online. 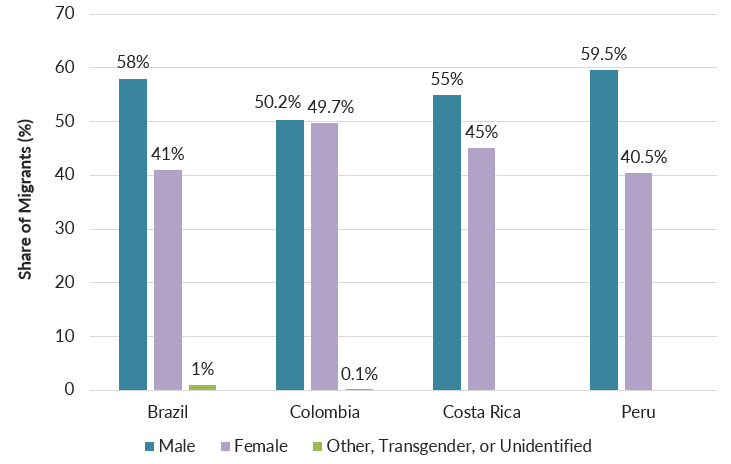 In all cases, most migrants are male, though the gender split is almost even in Colombia (see Figure 1). While the reasons for this have not been studied extensively, it can be speculated that young male Venezuelans generally migrate first, putting down roots in preparation for the arrival of their families. Venezuelan migrants are increasingly bringing their children, and entire families often leave together. Note: See Table 1 notes for information on sample size by country. These observations reflect the changing socioeconomic and educational profile of Venezuelans leaving home. Historically, Venezuelan emigrants tended to be highly educated and skilled. Between 1990 and 2000, Venezuelans in the United States were among the immigrant groups with the highest share of individuals occupying management positions, for example. While half of Venezuelans leaving home in 2017 still reported having a college degree, the migrant profile is rapidly diversifying. Educational attainment is lower on average in neighboring countries and increases with distance traveled to the country of destination (see Figure 2). It seems that growing numbers of Venezuelans with lower socioeconomic status are migrating. Though about half of emigrant respondents belong to households with higher-than-average income, 12 percent are from among the poorest in Venezuelan society. Additional data also point to ethnic diversification, with increasing numbers of indigenous people crossing Colombia’s eastern border or entering the northern areas of Brazil. And while the evidence suggests that most Venezuelan migrants head for major cities in Argentina, Chile, Colombia, and Peru, those in Brazil have largely sought to remain in the northern provinces along the border. 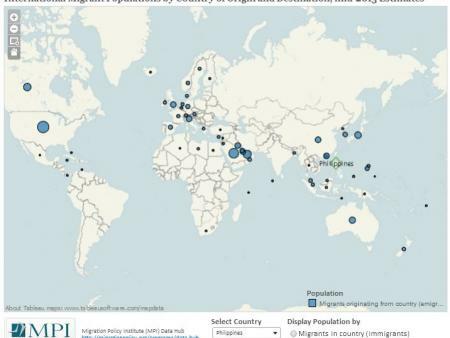 The growing numbers, shifting socioeconomic profiles, and destinations of migrants have put increasing pressure on some regional governments. While reliable information is available on Venezuelan departures, data are limited on population size and characteristics in host countries. This poses challenges for regional institutions, civil society, and government actors seeking to address migrant needs. Some Latin American governments—most notably Colombia and Peru—have kept relatively comprehensive records of border entries, but few have developed transparent systems that collect detailed demographic data on Venezuelan arrivals. High levels of irregular migration further exacerbate this problem. Several institutions, including in Brazil, Colombia, Costa Rica, and Peru, are actively collecting time-sensitive demographic data on Venezuelan migrants. Central to these developments has been the International Organization for Migration’s (IOM) deployment of its Displacement Tracking Matrix (DTM), a tracking and monitoring system, in Brazil, Colombia, Guyana, and Peru. As the profile of Venezuelan migrants becomes increasingly complex, tools such as the DTM—though thus far not statistically representative—play an important role in understanding the needs of migrants, and thus in developing adequate policy responses. Regarding employment status, 56 percent of Venezuelan respondents in Brazil were unemployed, compared to 33 percent in Colombia. Data suggest that labor-market integration is highest in Colombia. However, more than 80 percent of employed respondents in these two countries indicated that they worked in the informal sector. One factor contributing to the prevalence of informal employment may be the unauthorized status of many Venezuelans—including 31 percent in Brazil and 37 percent in Colombia. Other Venezuelans live in a host country on short-term tourist visas, which do not grant them the right to work; this is the case for 77 percent of those in Peru. The concentration of Venezuelans in informal work might explain the relatively high levels of labor exploitation. A substantial share report either not being paid by their employer, or receiving less pay than was originally agreed upon; this is the case for 14 percent of respondents in Brazil, 18 percent in Colombia, and 28 percent in Peru, according to the Displacement Tracking Matrix survey. In some countries, including Peru and Panama, resentment has grown among natives who now compete with Venezuelans for work in the informal economy, for example as food vendors in the streets of Lima. The scale of the outflows has led to significant debate in the region about whether Venezuelans should be considered economic migrants or refugees. Though this movement is undoubtedly primarily economically motivated, the speed and intensity of the country’s economic, political, and social implosion, largely caused by government policies, has left few sectors or areas of life unscathed. Many Venezuelans must emigrate in order to survive, due to the severe lack of food, medicines, and basic social services, as well as widespread violence, corruption, and extortion. With a homicide rate of 89 per 100,000 inhabitants at the end of 2017, according to the Venezuelan Violence Observatory, the country is the most violent in Latin America and among the most murderous in the world. Since protests against the Maduro regime intensified in 2017, human-rights violations have also become commonplace, including arbitrary arrests, torture of prisoners, attacks on journalists, and excessive use of force. Here, it is crucial to note that most countries in the region have adopted and implemented not only the 1951 UN Refugee Convention, which focuses on the protection of persecuted individuals, but also the broader 1984 Cartagena Declaration. This regional refugee framework extends the right to protection to victims of generalized violence, foreign aggression, internal conflicts, mass violations of human rights, and other situations that have seriously disturbed public order. Thus, according to some legal experts, Venezuelans should be considered refugees according to Cartagena. Since 2014, nearly 280,000 Venezuelans have applied for asylum worldwide, including 117,000 so far in 2018 alone, according to UNHCR. Peru hosts 45 percent of all Venezuelan asylum seekers, roughly 127,000 individuals, followed by the United States (68,000) and Brazil (33,000). However, Mexico is the only country in the region that has approved nearly all asylum applications by Venezuelans. Regional governments have responded to Venezuelan displacement through myriad policies and legal arrangements, within and beyond the humanitarian protection framework. As of June 2018, roughly 568,000 Venezuelans were living abroad under some form of “alternative legal stay,” according to UNHCR. These are non-asylum arrangements allowing Venezuelans to live, work, and access services in their host country for one to two years, and include temporary residence permits, employment and humanitarian visas, and channels through agreements such as Mercosur and the Union of South American Nations (UNASUR), which both aim for regional integration. In legal terms, Argentina and Uruguay have been the most welcoming countries in the region for Venezuelan migrants. Argentina has granted Venezuelans unrestricted visas under the Mercosur Residency Agreement, allowing them to live and work in the country for a renewable period of two years. Further, in February 2018, it eased the process for Venezuelans by extending the deadline to submit required documentation, following an observation that many were unable to produce official documents issued by their government. Uruguay has also granted legal residence to Venezuelans based on the Mercosur agreement. Several countries have devised special legal arrangements to address Venezuelan immigration. In Peru, the Temporary Stay Permit (Permiso Temporal de Permanencia, or PTP) has granted temporary residence to Venezuelans since January 2017. However, there is a significant administrative backlog of PTP applications. By mid-June 2018, just 45,000 of the close to 350,000 Venezuelans in Peru had obtained PTP, according to Peruvian newspaper El Comercio. Many opt to file claims for asylum instead of a PTP in order to receive a work permit faster, which helps to explain the elevated number of asylum applications in Peru. Colombia initially took a similar approach with its Special Stay Permit (Permiso Especial de Permanencia, or PEP), which offered temporary residence to Venezuelans who arrived between July 2017 and February 2018. As of April 2018, nearly 156,000 Venezuelans were registered under the PEP. In February 2017, Colombia started issuing Border Mobility Cards, which allowed Venezuelans to travel freely between the two countries. The government stopped granting both these cards and PEP in February 2018. Brazil also opted to create a special permit for Venezuelans. In March 2017, it passed a resolution granting Venezuelans temporary residence for two years, similar to Argentina’s Mercosur visas. Most recently, in April 2018, Chile launched a Visa of Democratic Responsibility for Venezuelan citizens. This new visa, which can only be obtained by applying at the Chilean consulate in the Venezuelan capital of Caracas, provides potential migrants temporary residence in Chile for a one-year period. Still, there are reportedly many challenges for prospective applicants, not least the required documentation and cost. 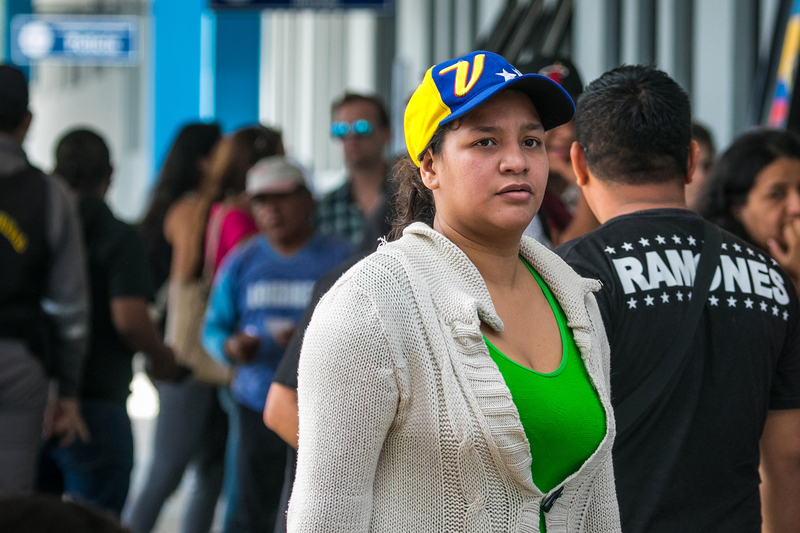 Other countries, such as Ecuador, Mexico, and Panama, have not made any special legal arrangements for Venezuelans, opting instead to provide them legal stay using pre-existing immigration channels. This has seen mixed results. In the case of Mexico, of 912 asylum applicants who completed the process in 2017, 907 received refugee status. However, Mexico is facing a backlog in application processing, with 3,067 asylum applications out of 4,042 filed by Venezuelans that year still being processed. There have also been reports of forced returns and extortions by Mexican border officials. Meanwhile, Ecuador theoretically grants temporary residence to Venezuelans for a period of two years through the visa scheme developed by UNASUR, or else through a 2011 bilateral agreement. However, access to these visas is severely limited in practice by their high cost, with applications costing US $50 and the visa itself $500. On the other hand, Panama has implemented restrictions on Venezuelan immigration. Most notably, new legal measures in May and October 2017 added visa requirements for Venezuelan citizens and shortened the period they can stay in the country. Responses to the Venezuelan exodus must be understood in the context of what has been described as a liberal paradigm shift in Latin American immigration and asylum law and policy—as well as current regional political dynamics. Over the past 20 years, in a wave of liberal policymaking, most Latin American countries reformed their immigration and refugee laws. These had largely been developed by military dictatorships in the 1970s and 1980s and had a security-focused outlook on immigration. The emphasis of the newer laws lies on migrants’ rights, nondiscrimination, and the protection of vulnerable groups. Some countries even recognize a right to free human mobility, as implied by migration laws in Argentina, Bolivia, Ecuador, and Uruguay, and in Ecuador’s 2008 constitution. As mentioned above, virtually all countries in the region use the Cartagena definition of who is a refugee in their humanitarian protection laws. Such policy liberalization made political sense, as long as there were large Latin American diaspora communities in the United States and Europe but few immigrants, asylum seekers, and refugees within the region. Today, the politics of migration in Latin America follow a different logic. In the case of Venezuelan outflows, accepting these migrants—especially refugees—or creating special visas such as Chile’s Visa of Democratic Responsibility sends an unequivocal political message against the socialist government in Caracas. Thus, such moves are especially attractive for countries now governed by conservatives, including Argentina under Mauricio Macri and Chile under Sebastián Piñera. On the other hand, countries still aligned with the Maduro regime, such as Bolivia and Ecuador, deny the existence of a regional migration crisis. In Ecuador in particular, this denial feeds into the existing gap between human-rights law and implementation that makes life difficult for immigrants. Additionally, despite the general liberal paradigm shift, human mobility remains a national security concern for policymakers throughout the region. Will South America begin to turn against migration as a result of the crisis? A reactionary shift toward closing borders is unlikely—except, perhaps, in the case of Colombia, which has reportedly begun deporting Venezuelans. However, other governments have also begun to crack down on migration. Brazil militarized its northern region and could start pushing people back into Venezuela, several countries have terminated special residence permits, and Mexico has deported some Venezuelans before they could file an asylum claim. Overall, politics in the region have so far been characterized by inertia toward Venezuela’s freefall, and reactions to the resulting migration crisis can best be described as ad-hoc measures. While Colombia and Peru are calling for regional cooperation to manage the exodus, it seems that most governments in the region are too preoccupied with managing their own domestic political transitions and crises to seriously engage in coherent foreign policy responses to the Maduro regime, or to support each other in the reception and integration of the displaced Venezuelans. Governments took a first step toward regional responsibility-sharing by assembling to discuss Venezuelan displacement via the Lima Group, a multilateral body of 14 countries (notably excluding Bolivia, Ecuador, and Nicaragua) established in late 2017 to find a peaceful resolution to the crisis. In the meantime, the exodus keeps growing by the day, increasing the pressure to find a sustainable solution to the Venezuelan drama. Acosta, Diego and Luisa Feline Freier. 2015. Turning the Immigration Policy Paradox Upside Down? Populist Liberalism and Discursive Gaps in South America. International Migration Review 49 (3): 659-97. ---. 2018. Regional Migration Management in South America. In Handbook of Migration and Globalisation, ed. Anna Triandafyllidou. Cheltenham, UK: Edward Elgar Publishing. Arnold, Chris Feliciano. 2018. Stop Enslavement of Venezuelan Refugees in Brazil. New York Times, May 8, 2018. Available online. Asociación de Consultores y Asesores Internacionales (ACAI). 2018. Situación de Personas Venezolanas en Costa Rica. Country report for the Comisión Interamericana de Derechos Humanos 168th session, May 3-11, 2018. Santo Domingo, Dominican Republic: ACAI. Baddour, Dylan. 2018. Porous Colombia’s Futile Deportations of Venezuelans. Refugees Deeply, February 28, 2018. Available online. Baldwin, Liam. 2017. The Venezuelan Diaspora: A Cerebral Exodus. Latin American Studies: Student Scholarship & Creative Works, Augustana College, 2017. Available online. Cantor, David James, Luisa Feline Freier, and Jean-Pierre Gauci, eds. 2015. A Liberal Tide? Immigration and Asylum Law and Policy in Latin America. London: University of London Institute of Latin American Studies. Ceriani, Pablo and Luisa Feline Freier. 2015. A Liberal Paradigm Shift? A Critical Appraisal of Recent Trends in Latin American Asylum Legislation. In Exploring the Boundaries of Refugee Law: Current Protection Challenges, eds. Jean-Pierre Gauci, Mariagiulia Giuffré, and Evangelia (Lilian) Tsourdi. Leiden, The Netherlands: Brill Publishers. Chile Ministry of Foreign Affairs. 2018. Información sobre Visa de Responsabilidad Democrática. Accessed June 22, 2018. Available online. Colombia Ministry of Foreign Affairs. 2017. OIM, Cancillería y Migración Colombia Revelan Estudio sobre el Flujo Migratorio en Frontera Colombo-Venezolana. Press release, July 5, 2017. Available online. Comisión Interamericana de Derechos Humanos (CIDH). Documento Preparatorio para Audiencia Temática ante la Comisión Interamericana de Derechos Humanos “Protección de Derechos de Personas Venezolanas en Situación de Movilidad Humana en la Región.” CIDH, 163th session, July 3-7, 2017. Available online. Comisión Mexicana de Ayuda a Refugiados (COMAR). 2018. Estadisticas 2013 a 4to Trimester 2017. Secretaria de Gobernacion. Available online. Consultores 21. 2017. Perfil 21: Servicio de Análisis de Entorno (Apéndice sobre Migración), No. 151, Cobertura Urbano-Rural, 4to Trimestre 2017. Presentation of survey results, Consultores 21, December 2017. Available online. Fieser, Ezra and Matthew Bristow. 2018. Venezuelans, Go Home: Xenophobia Haunts Refugees. Bloomberg News, March 5, 2018. Available online. Freier, Luisa Feline. Understanding the Venezuelan Displacement Crisis. E-International Relations, June 28, 2018. Available online. Freitez L., Anitza. 2011. La Emigración desde Venezuela durante la Última Década. Revista Temas de Coyuntura 63: 11-38. ---. 2017. Encuesta sobre Condiciones de Vida, Venezuela 2017: Emigración. Presentation given at Universidad Católica Andrés Bello. Available online. Government of Colombia. 2018. Informe Final: Registro Administrativo de Migrantes Venezolanos en Colombia. Presentation of survey results, June 2018. Available online. International Organization for Migration (IOM). 2018. Analysis: Venezuelan Migration Flows in South America. Buenos Aires: IOM. Available online. ---. 2018. National Migration Trends in South America. Fact sheet, IOM, February 2018. Available online. ---. 2018. Tendencias Migratorias en las Américas: República Bolivariana de Venezuela. Fact sheet, IOM, April 13, 2018. Available online. ---. 2018. UN Migration Agency Releases First Displacement Tracking Matrix Results on Venezuelan Flows in Brazil. Press release, April 27, 2018. Available online. ---. 2018. Flow Monitoring of Venezuelan Migration, DTM Round 2. Fact sheet, IOM Peru, May 2018. Available online. ---. 2018. Monitoreo de Flujo de Migración Venezolana en el Perú, DTM Ronda 3. Fact sheet, IOM Peru, July 2018. Available online. Mahlke, Helisane, Nicolas Parent, and Lilian Yamamoto. 2017. How Latin America Is Responding to Venezuelan Refugees. Refugees Deeply, November 28, 2017. Available online. Pacecca, María Inés. 2018. La Migración Venezolana en Argentina: Una Aproximación Prelimina a partir de Fuentes Administrativas (2010-2017). Comisión Argentina para los Refugiados y Migrantes, May 2018. Parent, Nicolas. 2017. Falling Short of Protection: Peru’s New Migration Scheme for Venezuelans. Forced Migration Review 56: 40-1. Available online. Parra, Catalina Ruiz. 2018. Chile Modifica Requisitos para la Visa de Residencia Temporal a los Venezolanos: Estos Son los Cambios. El Nuevo Herald, June 9, 2018. Available online. Puyon, Alejandra. 2018. Mi Drama por la Visa de Responsabilidad Democrática Chilena. El Estimulo, May 7, 2018. Available online. South American Conference on Migration (SACM). 2009. Declaration of the IX SACM. September 22, 2009. Available online. UN High Commissioner for Refugees (UNHCR). 2017. Venezuela Situation Update: November 2017. Fact sheet, UNHCR, November 30, 2017. Available online. ---. 2018. Venezuela Situation Update: January 2018. Fact sheet, UNHCR, January 31, 2018. Available online. ---. 2018. Venezuela Situation: Responding to the Needs of People Displaced from Venezuela, Supplementary Appeal January-December 2018. Geneva: UNHCR. Available online. ---. 2018. Colombia Profiling Results. Fact sheet, UNHCR, March 28, 2018. Available online. ---. 2018. Venezuela Situation Update: March 2018. Fact sheet, UNHCR, March 31, 2018. Available online. ---. 2018. Venezuela Situation Update: April 2018. Fact sheet, UNHCR, May 1, 2018. Available online. ---. 2018. Venezuela Situation Overview: May 2018. Fact sheet, UNHCR, June 1, 2018. Available online. ---. 2018. Operational Data Portal: Venezuela Situation. Updated June 15, 2018. Available online. Luisa Feline Freier is Assistant Professor of social and political sciences at the Universidad del Pacífico in Peru. She holds a PhD in political science from the London School of Economics. Her research focuses on immigration and refugee policies in Latin America and South-South migration to and within the region. Nicolas Parent is an independent researcher and co-Editor of the monthly newsletter Rights in Exile, published by the International Refugee Rights Initiative. Based in Lima, his current work focuses on the regional responses to the Venezuelan exodus and he previously conducted research in Turkey on host-country perceptions of Syrian refugees.